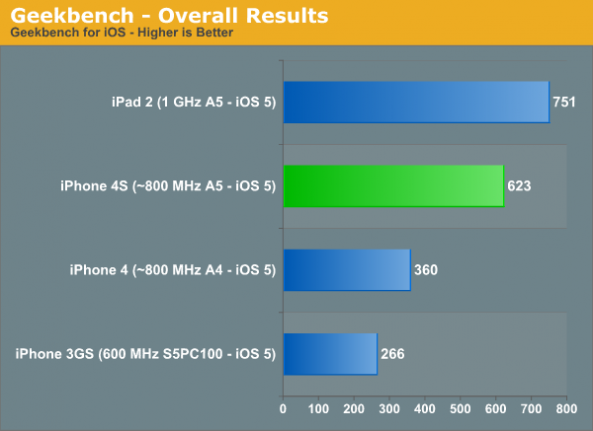 AnandTech provides us with some Benchmark tests of the iPhone 4S and compares them to the iPhone 4’s benchmark scores. 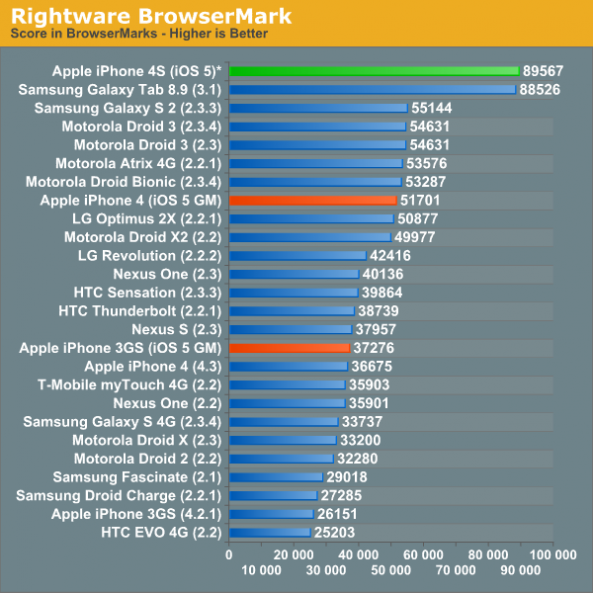 Performance wise, the iPhone 4S, with a 800MHz A5 CPU, is 73% faster than the iPhone 4. 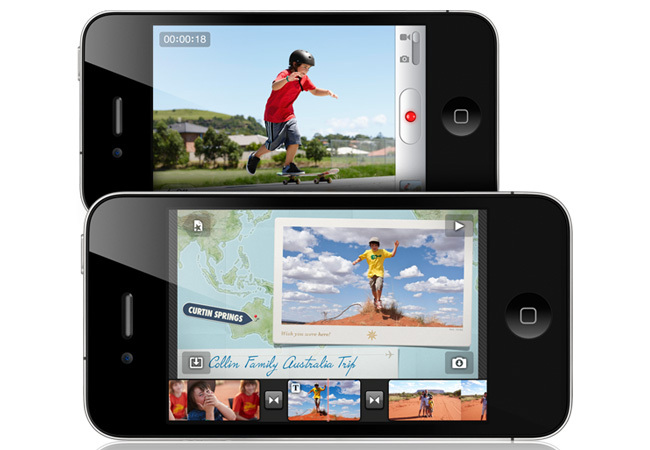 In terms of graphics processing capabilities, the iPhone 4S did live up to claims of being 7x faster than the iPhone 4. In one of the tests, the iPhone 4S earned a score of 73.1 while the iPhone 4 earned a score of 11.2. In another test, the iPhone 4S got a score of 122.7, and the iPhone 4 got a score of 15.3. 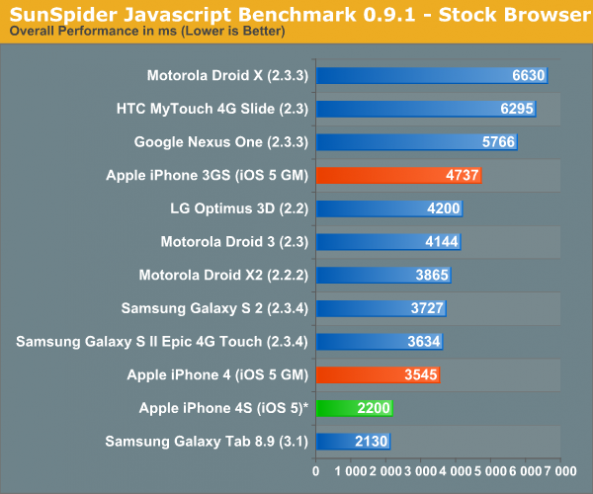 GPU scores for the iPhone 4S, like the overall CPU score, were just a bit slower than the iPad 2. But they also easily out-scored the competition, including the Samsung Galaxy S II, Motorola Droid Bionic, and your favorite phone. Ha!